We’ve started to see a disturbing trend on the training range. It involves the use of tactics and gun handling that have nothing to do with gun handling or gunfighting. We’ve taken the liberty of coining these tactics: ballistic masturbation. We’ve coined these antics thusly because, while they might make the student feel good, they really serve no purpose and aren’t productive. For example, the triple press-check for the pistol. This is where the student draws his or her pistol, press-checks, then drops the magazine and looks at it for some reason, then re-inserts the magazine, then press-checks the pistol again, then goes into some hokey-pokey, spiritual-looking routine before re-holstering the pistol. Or, the magazine fling-thing with the carbine. This is where the student runs the carbine dry, rotates the carbine counter-clockwise to look at the ejection port for some reason, then presses the magazine release while quickly rotating the carbine clockwise in the hopes that this antic quickly flings the magazine out of the gun while retrieving a fresh magazine from the pouch. The student then goes into a seizure-like trance-dance in order to reload the carbine. I could certainly go on as I see new masturbatory techniques on the range continually. But, hopefully I can make my point with the above examples. Neither of which have anything to do with safely and efficiently handling a firearm. The fourth category that I want to add is: Unnecessary. I add it because it’s definitely a category the student should be thinking about when being sold any technique by an instructor. The number one question you should ask yourself when learning how to handle and operate firearms is: Is this necessary? Foundational skills are those skills which are necessary for everyone in order to safely handle and operate a pistol, rifle, or carbine. Different firearms require somewhat different skillsets – although foundational skills tend to be very similar no matter the firearm. There are many other foundational skills, but, for the sake of brevity, I hope you’re starting to get the picture. If the student cannot understand and perform the above skills consistently with at least a basic level of proficiency, he or she will never be able to shoot any firearm competently. Critical skills are those skills necessary for the shooter to perform a given task. Critical skills may differ depending on the shooter’s goal. In the interest of consistency, we will confine this essay to self-defense, just as with mindset. 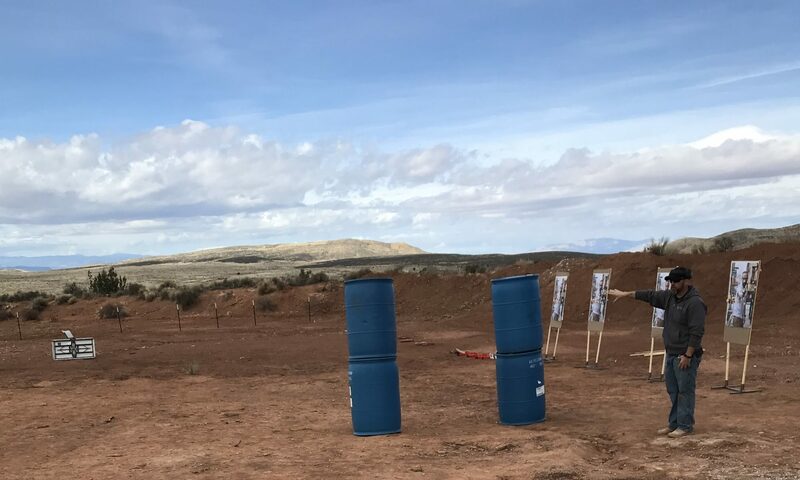 So, while a competition shooter might consider speed reloads a critical skill, we’ve come to learn in the world of self-defense that they are not so critical. One of the most critical skills I stress to students on the pistol range is the ability to get the pistol out of the holster and accurate shots on target in the least amount of time possible. The student might be able to shoot half-inch groups at fifty yards. But, if it takes them five and a half seconds to draw and fire one shot on a target at seven yards, they are not performing to an acceptable standard with regards to self-defense. Defining what skills are critical is mandatory. Training time is a very limited commodity. We must make sure we are maximizing our use of it. This means: practicing speed reloads while out on the range when we still can’t draw and hit our target at seven yards in under two seconds, is a complete waste of our limited training time. How do we define what is a critical skill, versus and unnecessary skill? We study gunfights that have already occurred. We look at the data from those gunfights. Finally, we identify patterns that we see in gunfights. Identifying patterns can be a tricky business. Statistics are only as good as the sample size and we have to be cautious of input bias. But, if we look at large studies performed by separate researchers where certain patterns correlate, I think we’re on to something. Ancillary skills are supportive skills that, while not necessary to perform a given task, are helpful in efficiently completing a task. These include: recoil management, calling your shots, trigger reset, and other similar skills. While these skills aren’t mandatory, a shooter who can learn and employ these skills will become a much more effective shooter. Now let’s move to the original point of this article: unnecessary skills. Get into the habit of continually re-evaluating what you’re doing on the range. Is it necessary? Does it serve a purpose? If you feel the need to press check your pistol – I rarely do – then retract the slide, check, and be done with it. There’s no need for all the other nonsense. If your carbine runs dry, drop the magazine from the gun, retrieve a loaded one from your pouch, insert it in the carbine and send the bolt home. The hokey-pokey is not what it’s all about when it comes to reloading your gun.